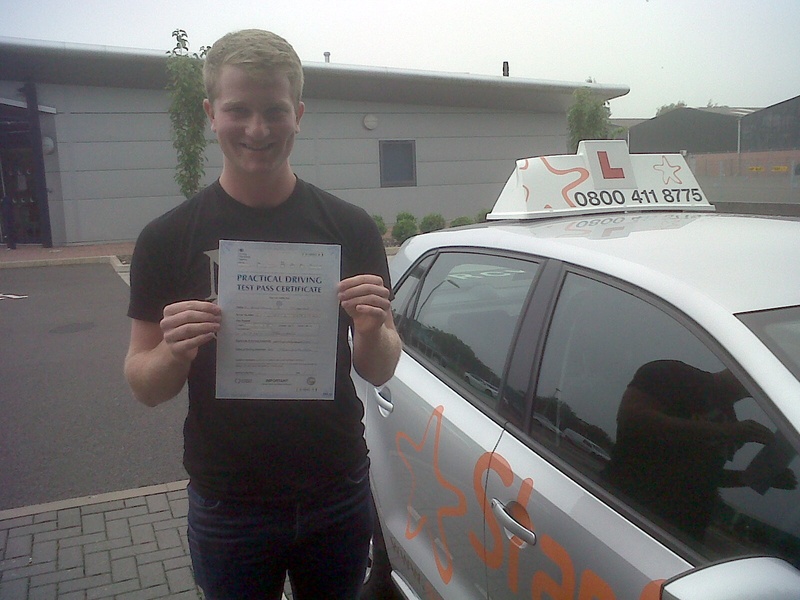 Ben with his Practical Driving Test Pass Certificate outside Taunton Driving Test Centre. Many congratulations to Ben Spinney from Sherborne who passed his Practical Driving Test with just 3 minors on Thursday 4th September 2014 at Taunton driving test centre. All the best from your Driving Instructor Nigel Steady and all the team at Starfish Driving. A really good drive, enjoy driving your Seat Ibizia! This entry was posted in Bridgwater, Shapwick, Taunton and tagged bridgwater, Driving Lessons, Nigel Steady, practical driving test, shapwick, taunton. Bookmark the permalink.